After years of motions and hearings, a 2015 lawsuit against Harvard alleging the school failed to closed caption its public online content and provided inaccurate closed captions where they did exist will move forward in federal court. In the February 2015 complaint, the National Association of the Deaf and four of the organization’s members filed suit in Massachusetts District court, naming the University as well as the College. The plaintiffs claim that Harvard’s online platforms — including YouTube, iTunes U, Harvard@Home, and the Extension School — frequently fail to provide sufficient captioning for video and audio content in violation of federal law. The initial complaint alleges that Harvard’s “denial” of its content “to deaf and hard of hearing persons” violates the 1973 U.S. Rehabilitation Act — a disability civil rights law prohibiting discrimination from institutions that receive federal financial assistance — and Title III of the Americans with Disabilities Act, a statute that prohibits disability discrimination in places of public accommodation. After NAD requested that Harvard add captioning, Harvard did so for only “a fraction of such content, and even then inadequately,” the complaint stated. By failing to provide adequate captioning, Harvard "deprives" deaf and hard of hearing persons of benefits from its online content, according to the complaint. On March 28, Federal Judge Katherine A. Robertson denied part of a June 2018 motion from Harvard for judgement in the case. The University had argued in a memorandum that the plaintiff's argument was "overreaching" and based off a "broad" reading of federal disability laws. Harvard’s memorandum — among other legal arguments — claimed that the school’s online content should not be considered a “public accomodation” and that the plaintiffs did not establish that the online content was offered for the purposes of the Rehabilitation Act. Harvard also requested the Court rule that the laws do not apply to third party content posted on Harvard’s websites. 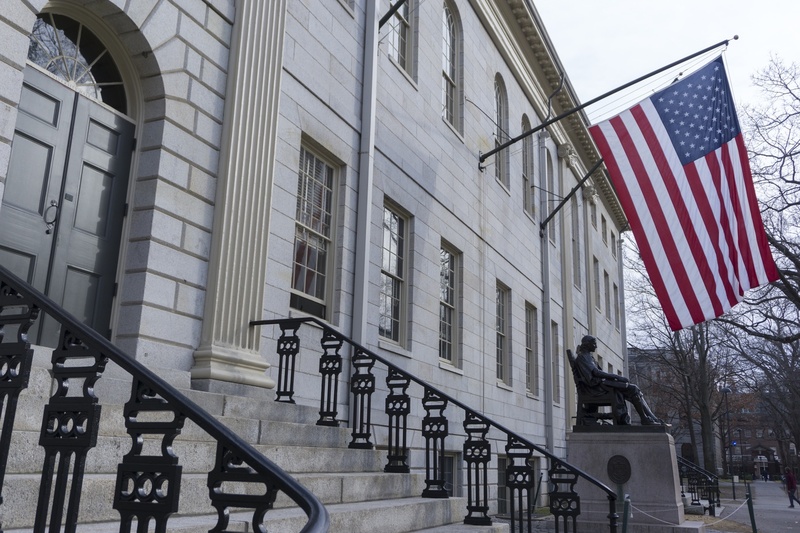 Though the March ruling denied part of Harvard’s request, it ruled that University could not be held responsible for captions on third party content. University spokesperson Nate Herpich declined to comment on the ongoing litigation but wrote in an emailed statement that Harvard is committed to making its online media more accessible. “Expanding access to knowledge and making online content accessible is of vital importance to Harvard, and the University remains committed to advancing these efforts,” Herpich wrote. The March ruling marks the second time Harvard has failed to convince a judge to bring the case to a close. After the case was first opened, the University filed a motion to dismiss or stay in May 2015. In a memorandum written in support of the motion to dismiss, the University claimed that NAD “stretched” the statues of the Rehabilitation Act, as well as Title III of the Americans with Disabilities Act. Harvard’s filings argued these statues did not necessarily require institutions which receive federal funding to locate and caption content, remove any content without captions, or refrain from publishing any content without captions. The filings also stressed what it stated were the logistical and academic consequences of NAD’s interpretation of the law. “Far from making existing online content more accessible to all, this one-size-fits-all, ‘caption or remove’ approach threatens to degrade the quantity, quality, and ready availability of scholarly and other online content,” Harvard’s filings read. A judge eventually denied Harvard's motion to dismiss. A similar lawsuit was filed by the NAD against the Massachusetts Institute of Technology in 2015, which is also ongoing. —Staff writer Lucy Liu can be reached at lucy.liu@thecrimson.com.